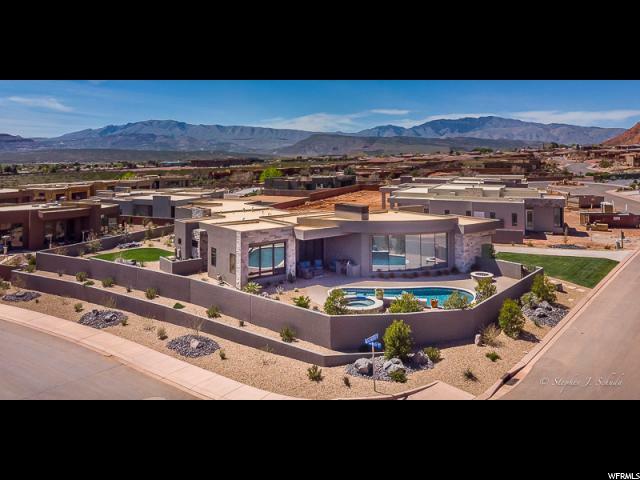 All Ivins homes currently listed for sale in Ivins as of 04/19/2019 are shown below. You can change the search criteria at any time by pressing the 'Change Search' button below. 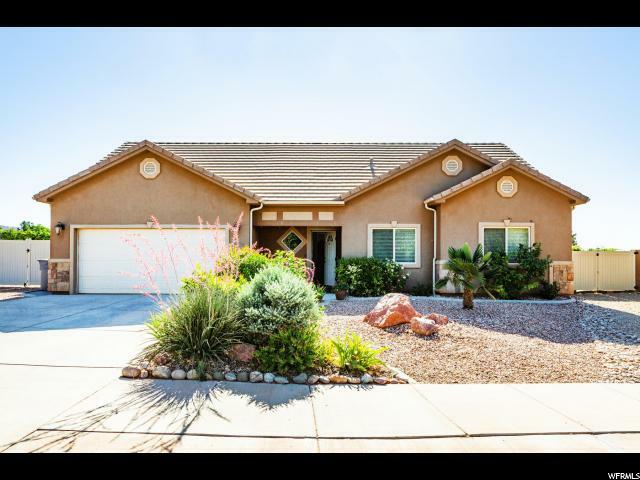 If you have any questions or you would like more information about any Ivins homes for sale or other Ivins real estate, please contact us and one of our knowledgeable Ivins REALTORS® would be pleased to assist you. 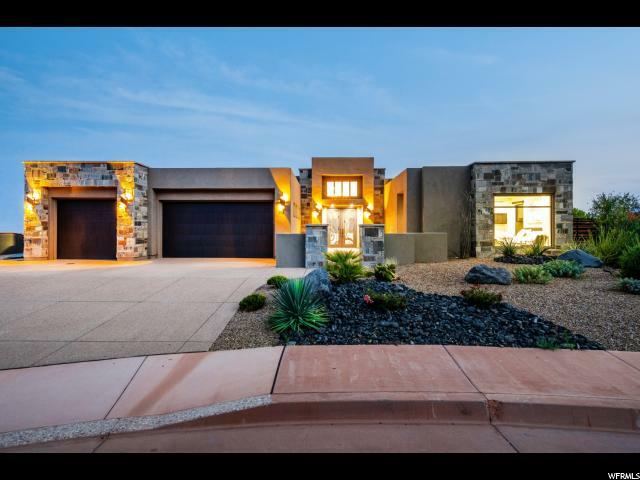 "The Best of the Best Entrada home! Play golf you say four amazing golf courses within a few minutes' drive. Perhaps you enjoy biking and or hiking endless scenic trails for both and a bonus five minutes to Snow Canyon National Park. This incredible Home sits on .74 acres and backs to the Tortoise Reserve and boasts private, picturesque red rock views of Snow Canyon State Park and Tuacahn thanks to the home's massive bull-nose, seamless glass wall and abundance of oversized windows. From the master suite, you'll enjoy the best views Southern Utah has to offer. This is a rare luxury gem with its 5.5 car garage and shop area, professional chef's kitchen w/ WOLF and SUB-ZERO appliances, ultra premium travertine and wood floors, sliding glass wall incorporating the in and outdoors, abundance of natural stone work with real Lichen, countertops made of the most exotic granite and character you've ever seen, a full gym area, and even an automatic back-up generator. Even royalty would admire the huge His & Her's master closet and amazing bathroom. You'll love entertaining friends, family and business associates with the open floor plan, high-end home theatre room, and spectacular pool with it's waterfall spa and newly finished slide. The home offers new, very upgraded blinds, new custom wrought rails throughout property inside and out, updated painting, 15 newly replaced windows, new skylight seals, new sprinkler system, and even new toilet valves. Home Warranty. Buyer to verify all information, deemed reliable, however buyer to verify all info including utilities & HOA information if applicable." 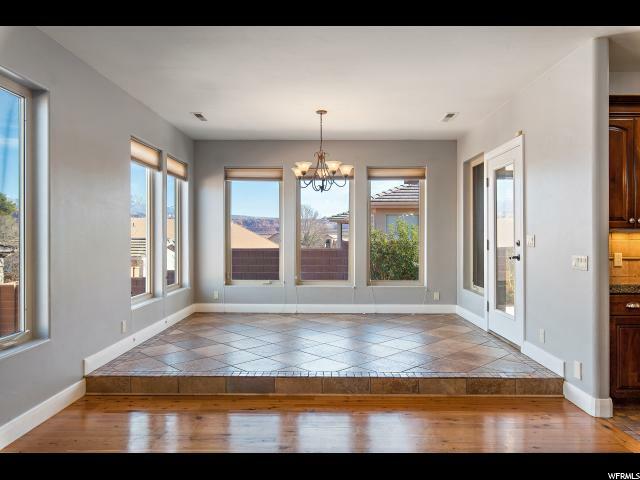 "Unobstructed incredible red Mountain View's out the front, and great views of city and Utah hills from the back. The home features a custom floor oversized 3 car garage, electric black-out shades on remotes, accent walls, & upgraded oversized tile. The professional chef's kitchen offers a Viking Professional cooktop, Frigidaire Professional commercial grade double ovens and fridge, additional ice maker, and a large hidden butler's pantry with solar tubes. Oversized windows and an abundance of solar tubes allow for tons of natural light. Enjoy the huge master bathroom and closet. The home boasts extremely exotic, thick cut marble counters in the kitchen, and premium marble, quartz, and solid wood floating counters throughout Casita with luxurious finishes. Designer grade carpet, second kitchen downstairs with incredible granite, stainless Bosch appliances, and kitchen island / sports bar (on wheels) for entertaining. Multiple storage rooms, contemporary, modern drawers and cabinets throughout. COMPLETE SAFE / VAULT ROOM. Pool with custom rock slide feature and spa flowing into pool, w/ swim up bar. Outdoor BBQ / kitchen with w/ double sided bar going into pool w/ underwater pool barstools. Covered back deck, tankless water heater. Automatic water flow control for basement. Buyer to verify all information, deemed reliable, however buyer to verify all info including utilities & HOA information if applicable." "Modern / Contemporary one level open floor plan with Parade quality and style. Been stayed in just a few nights, better than new. Floor to ceiling windows, electric blinds, designer grade carpet, upgraded flooring, barn doors and modern fireplace in living room. Extremely exotic and upgraded granite, hidden butler pantry, under cabinet lighting, floating shelves and Thermador appliances. Solar Tubes, tall ceilings, soaker tub, walk in closets in all bedrooms. Enjoy the incredible Red Rock views from even the Professional Office / 4th bedroom with its Murphy bed. Nearly 1,400 SqFt of garage with epoxied floor and WORKSHOP with workbench, wall A/C, cabinets, and solar tube. Incredible nearly 360 degree views that will never change, same incredible views out of master overlooking both mountains, pool and city. Pool/ Spa access from bathroom, Built in outdoor BBQ and firepit. Buyer to verify all information, deemed reliable, however buyer to verify all info including utilities & HOA information if applicable." "The opportunity to have it all is here. 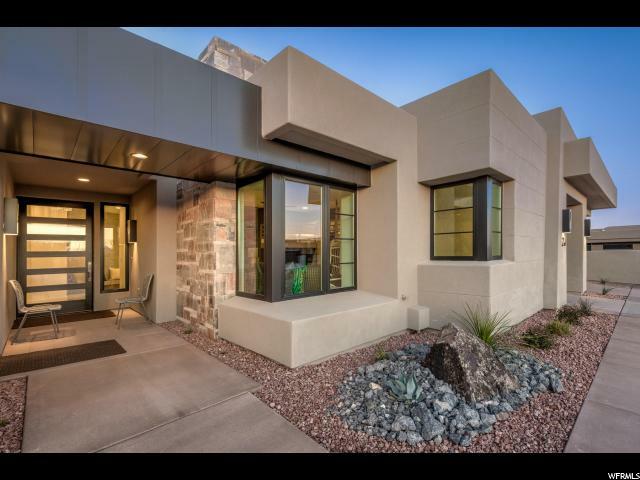 New, modern construction, stunning design, exquisite detailing and sweeping views of the Snow Canyon red rocks and lava fields. This home is the ultimate showcase for the Southern Utah lifestyle. Share the experience as this gated community allows for weekly and nightly rentals. Amenities include clubhouse with fitness center, outdoor pool & spa, and pickle ball and basketball courts. 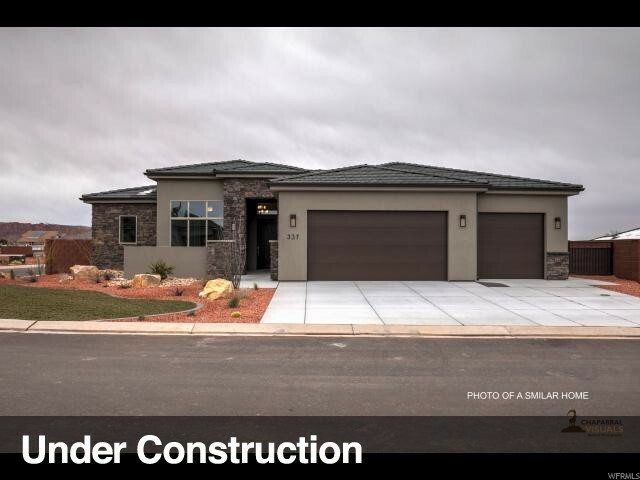 Stunning 2019 Parade Home!" "In Vermillion Cliffs, an exclusive gated community, nestled against the tortoise reserve at the base of Snow Canyon. With spectacular views of the surrounding red mountains, this home boasts impeccable details and craftsmanship throughout. Large living spaces, beautiful master suite, ample storage, custom finishes and a library/den you've dreamed of. 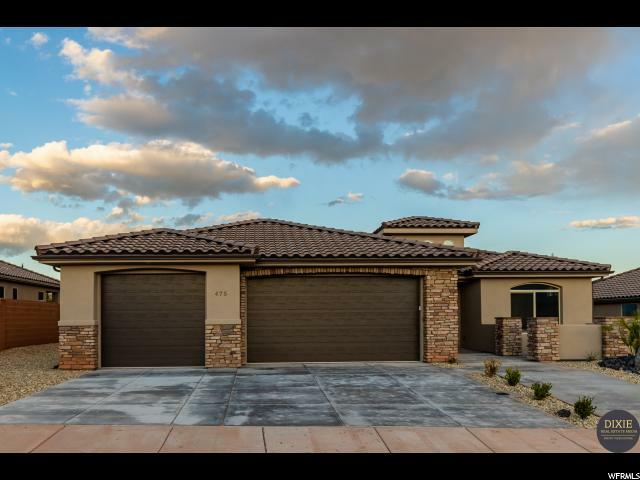 Tuacahn, Snow Canyon State Park, hiking and biking trails are all within steps of this luxury home." "Encanto is located on Snow Canyon Parkway just minutes from Tuacahn, Snow Canyon State Park, some of the area's best hiking and biking trails. Share this experience as this gated community allows for nightly rentals. Amenities include clubhouse with fitness center, outdoor pool & spa, and pickle ball court. " "Spectacular views, location, quality, and flexibility will be yours owning a home in Encanto. Located on Snow Canyon Parkway minutes from Tuacahn and Snow Canyon State Park. Share this experience as this gated community allows for nightly rentals. Seller would like to close mid July. Furniture Package available for sale." "Views, views and more views!! This Silver Sage beauty not only boasts amazing unobstructed views but one of our most popular floor plans as well! The kitchen is a show stopper and with the large butler's pantry is sure to satisfy any buyer. Hurry!! This is the last lot that this floor plan will work on! Estimated completion July 2019." 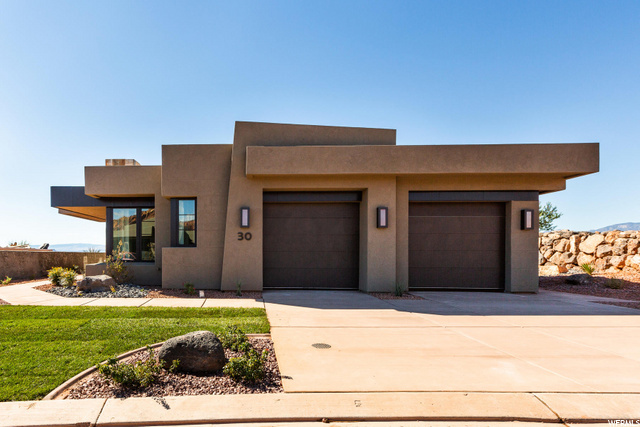 "Encanto is located on Snow Canyon Parkway just minutes from Tuacahn, Snow Canyon State Park, some of the area's best hiking and biking trails. Share this experience as this gated community allows for nightly rentals. Amenities include clubhouse with fitness center, outdoor pool & spa, and pickle ball court"
"Quality and comfort. Beauty and space. This is it! Top of the line upgrades in this fabulous home! 10-12' ceilings w/ 8' doors enhance views, create a spacious fell. Large great room area w/beautiful kitchen. Extra storage off large laundry room. Custom finish/features abound. Covered patio to enjoy oversize yard/stars at night! (Protective covenants but no HOA.) "
"Spacious Tuscan style home in Ivins, Utah. Hardwood floors, custom travertine and slate tile, granite counter-tops, gourmet chefs kitchen with a full second kitchen in basement. Large back yard, storage and living space. Door keypad, call for code." 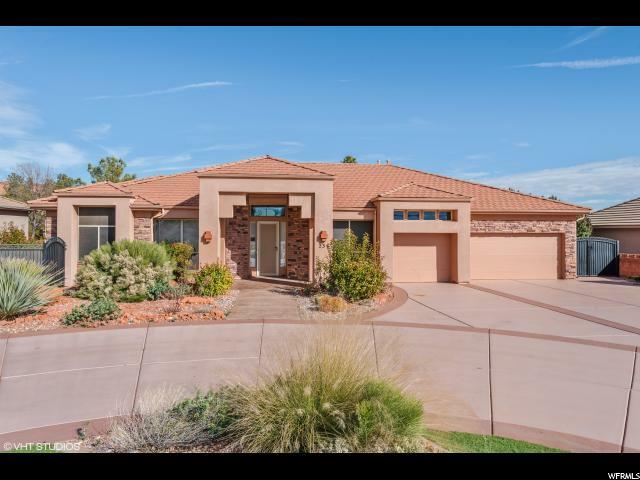 "Check out this beautiful 3 bedroom, 2 bath home with a 3 car garage that has amazing views of the red mountain! Very open floor plan with lots of natural light. This home is a must see!" 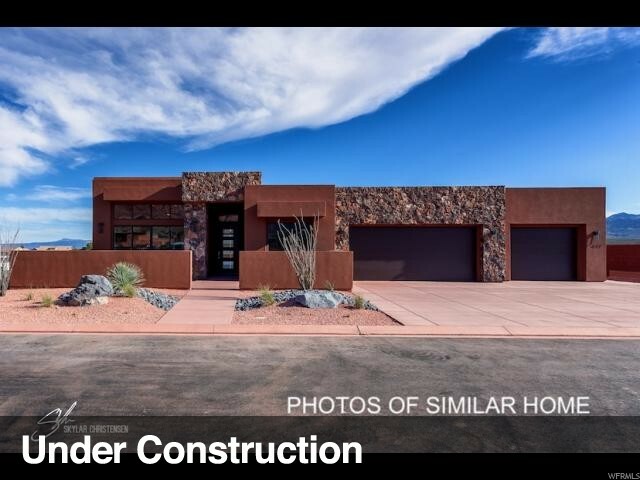 "Great new home with views in Cliff Rose. Stop by our model and check out our fabulous upgrades and features. This awesome plan has been a favorite! " 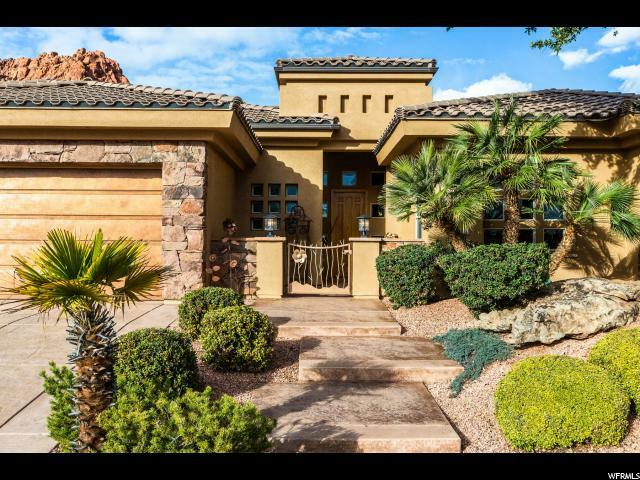 "Beautiful home located at the foot of the Red Mountain in Ivins. Very upgraded home with solid wood doors, stain grade trim, and a beautiful custom kitchen. Secluded back yard and a big 3 car garage!!" "Enjoy gorgeous red mountain views from your courtyard! This brand new home will satisfy the pickiest of buyers! Move in ready. Large master bedroom. Master bathroom with large walk in shower and jetted tub, double vanity. Energy efficient!! Open floor plan. Large 3 car garage will fit a full size truck. Parking on side for boat or toys! Close to Tuacahn Amphitheatre, hiking, biking, and more!" "New Cliff Rose plan that just works! Open and spacious great room with fabulous master suite and 3 more nice sized bedrooms. Upgraded nicely with all the features Custom Contracting is famous for. Tile in all walkways and great room, upgraded cabinets, beautiful quartz counter tops. 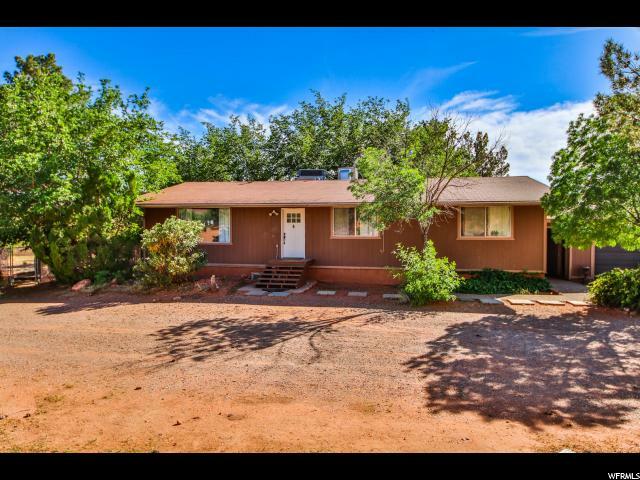 Don't miss this home when looking in beautiful Ivins. 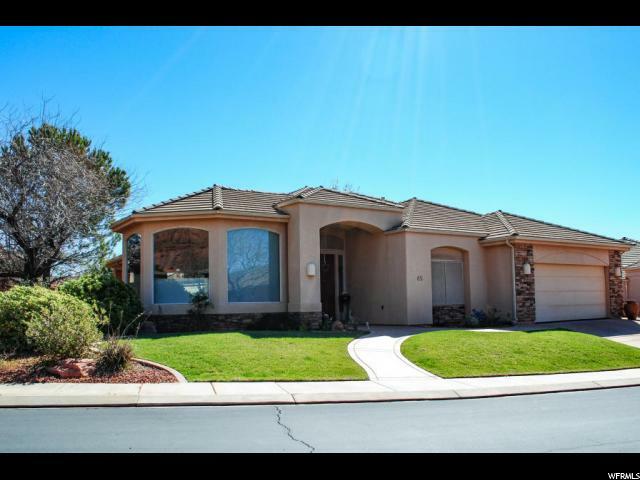 Single family Home in Cliff Rose - No HOA"
"Southern Utah Pool Paradise! 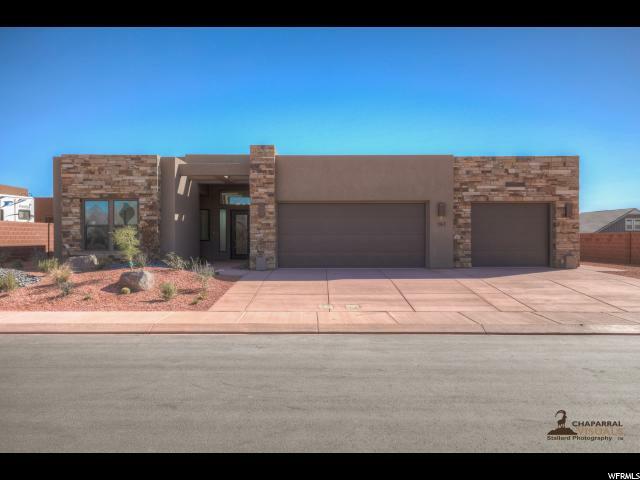 Minutes from Rocky Vista University and Tuacahn, this gem in quaint Ivins will have guests drooling as you entertain poolside with outdoor kitchen or inside the show-worthy kitchen. Dual master suites offer options for casita, ''pool house'' or just amazin' livin'! Features include a house addition (2007) of nearly 1000sqft, kitchen remodel (2018) including white quartz counters, canned lighting, modern light fixtures and ceiling fans in every room. Custom pool, pool deck and outdoor kitchen with pizza oven, grill top, mini fridge & sink. Great private backyard with mature landscaping, Zen garden, raised garden beds, chicken coop (and chickens) & 10 fruit bearing trees. Shaded 40' RV parking. Freshly painted (2019) in neutral tones, doors and all trim. Seller makes no warranties or representations. Buyer to verify all information. " "THE WORKS! 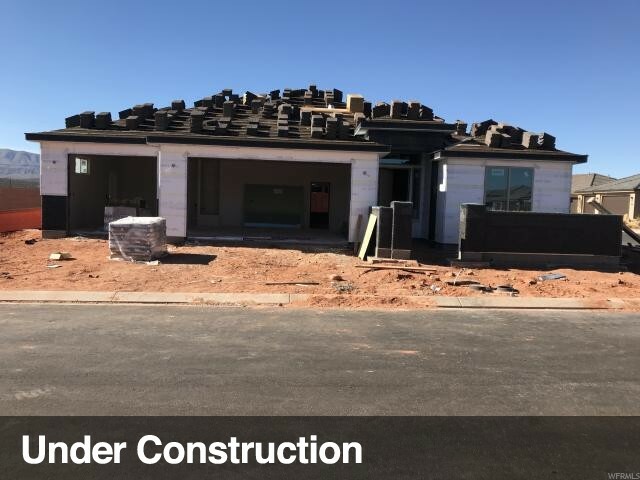 A Beautiful home in one of Ivins most prestigious subdivisions.Home has a 2 car garage and is wired for surround sound.The inside amenities are pristine; jetted tub, a gas fireplace and dazzling skylights.You will feel at home in the fully landscaped yard that is also fully fenced. Nestled in the magnificent nature that is Copper Canyon you are sure to love this.Taxed as a second home." "Don't Miss This One Of A Kind Horse Property In A Great Location. 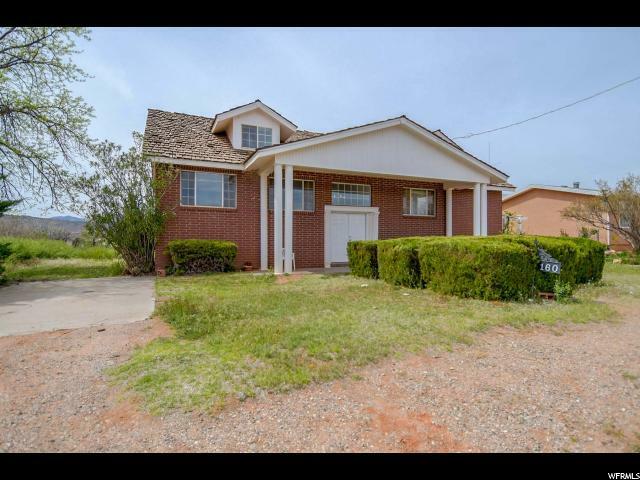 Home Offers Nice Open Floor Plan, Full Kitchen & Family Room Upstairs And Downstairs, Basement Entrance, Large Deck, Large Fully Fenced Lot, 1 Share Irrigation Water, RV Parking, 5 Car Garage/Shop With Lots Of Room For Toys And So Much More." "Need a project? This is it! 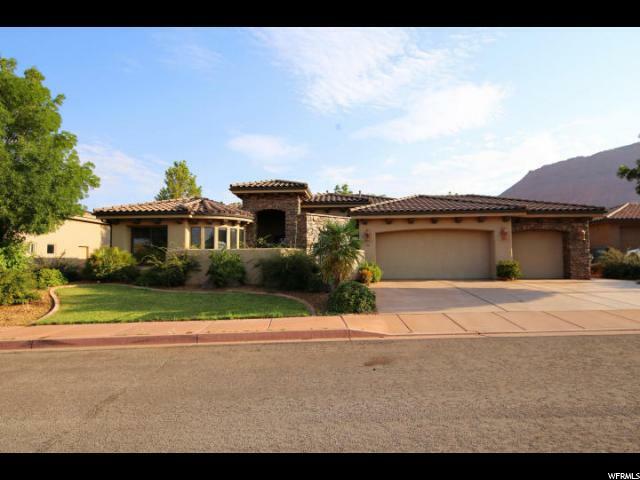 This home offers 8 bedrooms, 3 full baths & a 3/4 bath on a .42 acre lot with views of the Red Mountain & mature trees! It even comes with a park-like playground! Inside you'll find 2 full kitchens & 2 family rooms. The kitchen cabinets are newer than the rest of the house. The heat pump is also ''newer.'' All appliances included!" "Stunning views of Red Mountain & Snow Canyon from the privacy of the spacious & gracious backyard. Harmonious living inside and out. Nearby schools, conveniences, parks, picnic & recreation. No HOA. " "Lovely 3 bedroom 2 bath home with a split floor plan for your main residence or the perfect second home. 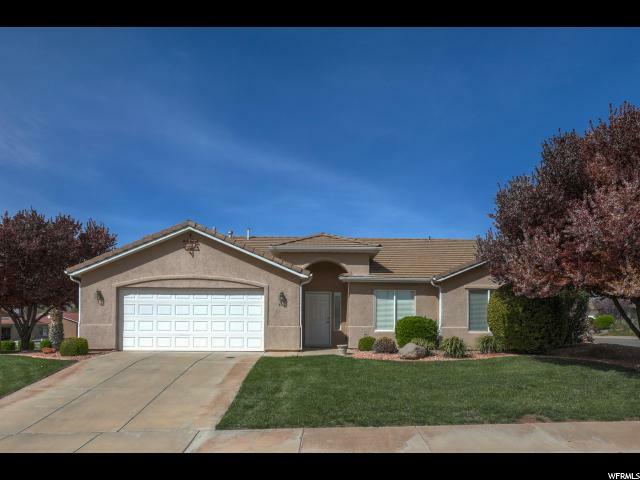 This home is located in the popular neighborhood Anthem Estates and provides easy access to either the community park or a peaceful hike in Southern Utahs beautiful mountain terrain." "Bright home with large windows & a great floor plan. Impeccably maintained & in great condition. Enjoy beautiful views of the red rocks or walk out your back door and enjoy the beautiful water features of Padre Lakes with ponds, fountains, and beautiful swans. 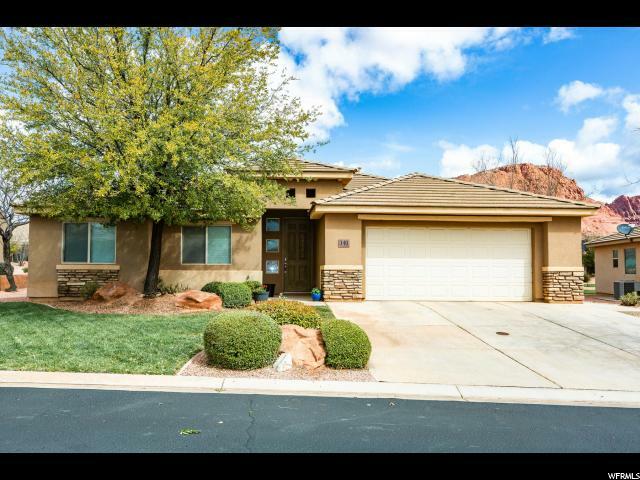 Great location in Ivins, near Tuacahn, Snow Canyon, and endless recreation opportunities." 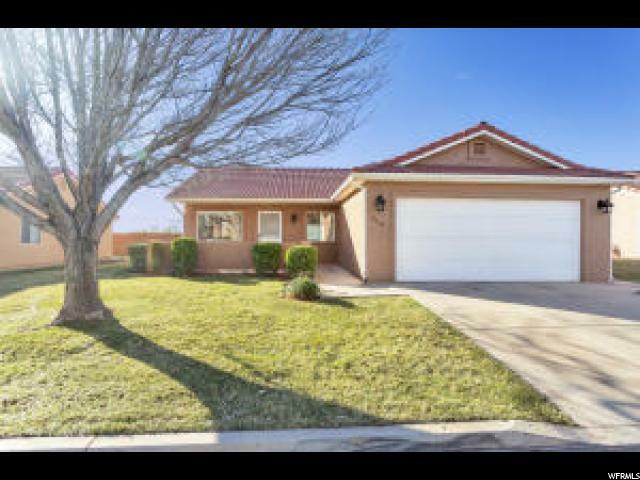 " This 3 bed 2 bath home sits in beautiful Padre Lakes in Ivins Ut. At the base of Snow Canyon & world famous Tuacahn outdoor theatre, this home is PRICED RIGHT and won't stay on the market long! This home has only had 2 owners, both times as a second home. A must see at a perfect price point!"